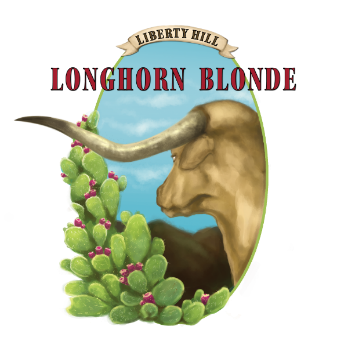 Longhorn Cattle rule in our part of the Texas Hill County, and so does our golden beverage delight, Longhorn Blonde®. This sensationally spirited craft masterpiece is ever so slightly subdued to highlight it’s mild malt sweetness and biscuity undertones. Hop flavor and bitterness play second fiddle to a gentle hop aroma thus ensuring this brew exhibits the smooth qualities and flavor expected of Golden and Blonde ales brewed with imported English malt. 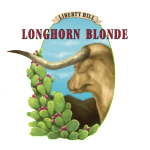 You will find Longhorn Blonde® easy drinking with wonderfully pleasant flavors delicately presented. Goes great with any conversation. Keep plenty on hand for friends, gatherings, celebrations, special occasions, and lazy afternoons. And remember, never rope a bull that weighs more than your horse! Beginning in the late 18th century, English brewers crafted pale ales specifically for export to British occupiers in India. Use of the term “India Pale Ale” (IPA) first appeared in print in 1829, and referred to pale ale that was heavily malted, highly hopped, and sporting higher alcohol levels than its English pale ale cousins. The exaggerated characteristics of the IPA style were thought to preserve the brew during its long voyage to India. Bow Brewery was the preferred IPA producer for the East India Company, although many other breweries produced the style for export and domestic consumption as well. Some accounts of the British occupational periods claim a portion of each shipment was watered down for the army troops, while the remaining full-strength portions were destined for the enjoyment of officers and British Elite. Hops are a dominant, but subdued, force in this English styled IPA. Expect a highly drinkable brew WITHOUT THE HOP BOMB. In 1766, Catherine the Great — Empress of Russia — agreed to a commercial treaty between the Empires of Russia and Great Britain. One result of the treaty was Catherine’s development of a personal affinity for London Stout, which Henry Thrale brewed in his Anchor Brewery in Southwark for export to the Russian Imperial Court. English and Irish breweries produce several Stout styles such as Oatmeal, Sweet, Dry, Foreign, and Imperial, but the United States is now the largest producer of Imperial Stout. That should come as no surprise for a malted beverage that exudes bold and complex flavors, creamy richness, and an attitude suggestive of perfection in every way. The Brew Crew at Bull Creek knows flavor lovers will enjoy our rendition of the Imperial beverage that has delighted millions for three centuries. Our Iron Balls® Imperial Stout is an exciting combination of roasted malts meant to release the adventurous side of discerning palates. Expect strong hints of chocolate, coffee, vanilla, dark fruit, and caramel. So tasty and substantial you may want to drink it for dinner– maybe even breakfast! A few centuries ago, life on the farm in the Wallonia Region of Belgium was not laid back until the hands had received ever drop of their daily entitlement to the farm’s seasonal ale. Harvest ale was brewed in autumn and winter months for consumption in the spring and summer. Each brew had its own unique characteristics and taste. Contemporary harvest ales — commonly referred to as Saison (French for “season”)– represent some of the most complex styles of old-world delights that continue to please discerning palates. Champs Au Sud® is the result of BCBC selected specialty malts and flaked grain mixtures that unite to create our Hill Country Home-Style offering of this enduring favorite. Expect mild tartness, earthy-sweet aromas, and crisp citrus notes. All the goodness of the harvest WITHOUT THE SOUR PUNCH. Extra Pale Ale (EPA) is the lighter colored, milder sibling of traditional English Pale Ales. Early pale ales were products resulting from warm fermentation of lightly colored malts that were dried using coke roasting methods developed in the mid-16th century. Extra Pale Ales are mostly an American phenomenon, because American hops clearly distinguish these domestic brews from their English Summer Ale counterparts. 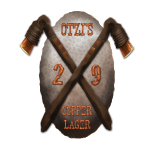 Arguably, EPAs are the closest ale style to resemble lager beer, with light yellow to gold color and mellow distinction. FADED® is the BCBC presentation of a great Hill Country Extra Pale Ale. Clear and pleasantly subdued in comparison to other pale ales, FADED® is a light bodied, malt-forward delight. Expect slightly hoppy notes with fine hints of traditional bitterness. Very sessionable and worthy of your next night out or in. The brewing of ale is recorded in written histories of ancient Egypt and Mesopotamia dating to at least the 5th millennium BC, making it one of the oldest beverages ever produced by humans. Evidence indicates that fermentation of grain drinks routinely took place is Persia around 7,000 years ago. 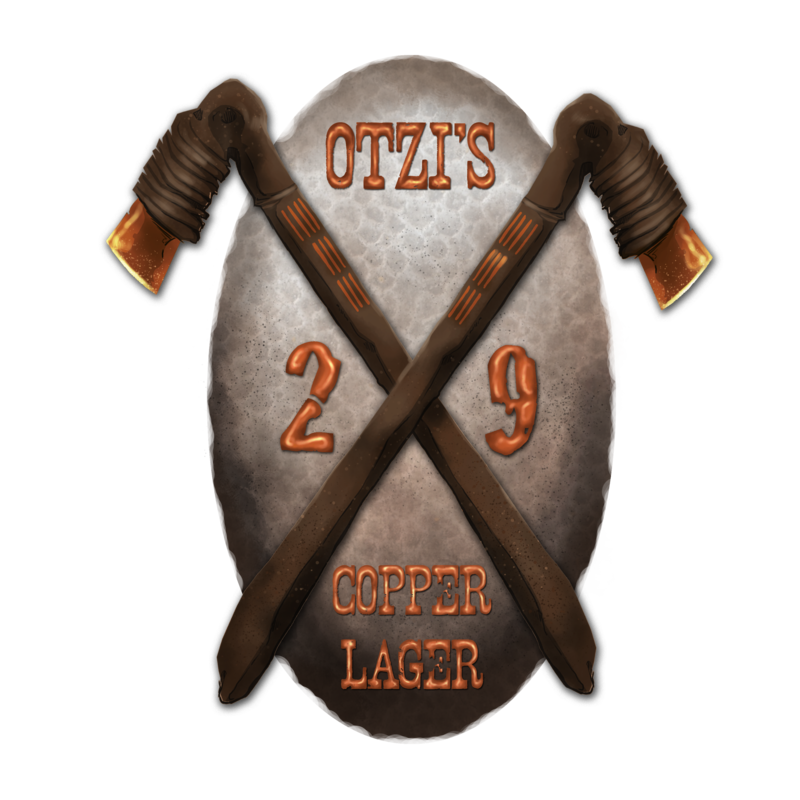 Otzi’s Twenty Nine™ Copper Ale has its origins in the old style amber ales of Northern Europe that were amber to coppery-brown in color. The style, sometimes referred to as “red ale,” exhibits a well-balanced presentation tipping slightly toward its malt characteristics. The BCBC blend of six malts and various hop varieties allows for exceptional body with caramel overtones that hint of chocolate. Expect the brew to surprise with a subtle, fruity finish. All in all, a very sessionable ale deserving of exploration to find just the right pairing to compliment the moment’s mood and your individual taste preferences. India Pale Ale was born in England, but its Yankee cousin — the Imperial IPA — is an in-your-face, all-American expression of brewing innovation and creativity ratcheted up a few levels. Bucking traditional IPA styles, the Imperial IPA, sometimes referred to as Double or Extra IPA, is a distinctive malt beverage that elevates intensity for a near extreme experience. This style is not for everyone, but it may represent the ultimate engagement for those who prefer a little something extra with their brew. Mashing up a tub of Hop Whacked® Imperial IPA is a favorite Bull Creek Brewing® activity when madness overcomes the rational order of the moment. Keeping in mind that our Brew Captain is saving obnoxious, belligerent, tongue-ripping, eye-popping bitterness for our Triple IPA adventure, expect this Imperial offering to present flavors and aromatics of an explosive nature, along with a nice, but lighter, bitter representation that is pleasingly intense for the uninitiated. Go ahead and peel back the layers to discover fruit, citrus, spice, berry, and pine notes. 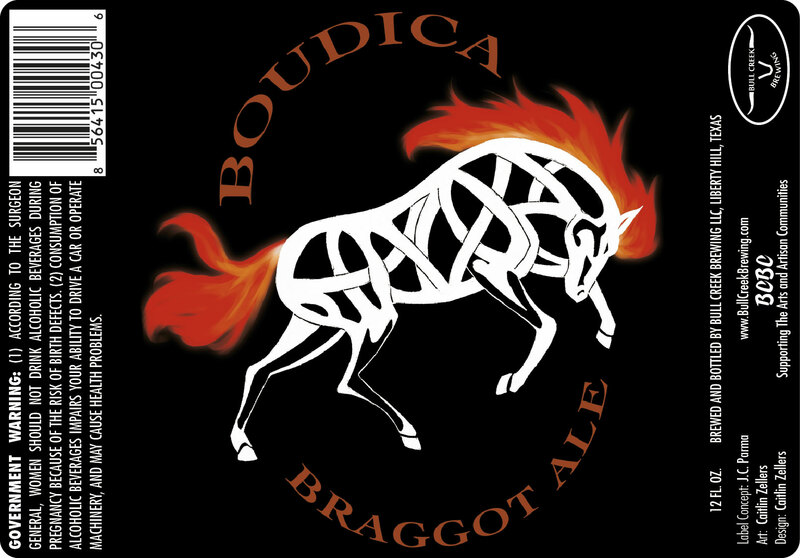 Boudica® is our Brew Captain’s Eastern Hill Country malt and honey mix produced in tribute to the spirit and courage of Celtic Warrior Queen, Boudica, of the Britannia Iceni Tribe. 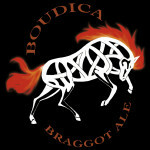 Boudica led a force of Iceni and Trinovante warriors in revolt against occupying Roman legions around A.D. 60. Her 100,000-strong force destroyed Camulodunum (Colchester) and then marched on Londinium (London). The city was methodically demolished and any occupants that had not already fled were slaughtered. Providing her 100,000 warriors with the land’s best brews must have been a terrific feat – even for an Iceni Warrior Queen. You will find this BCBC™ contemporary version of earlier malt and honey delights to be a dominating alternative for today’s boldly adventurous. Lively combinations of specialty malts, hops, honey, and selected grains provide for an overall experience of balanced flavors and character enjoyed by many of the Hill Country’s finest warriors. Carefully concocted and conditioned to be daringly different.